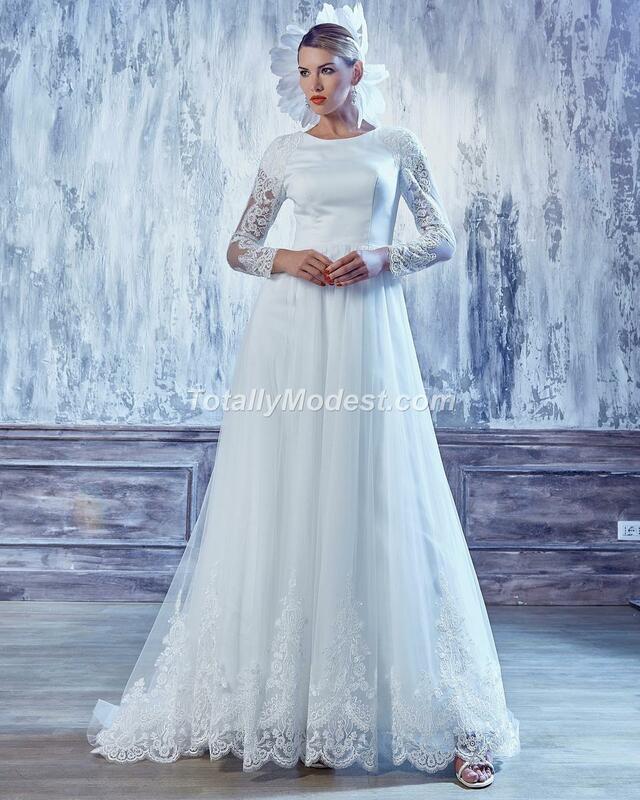 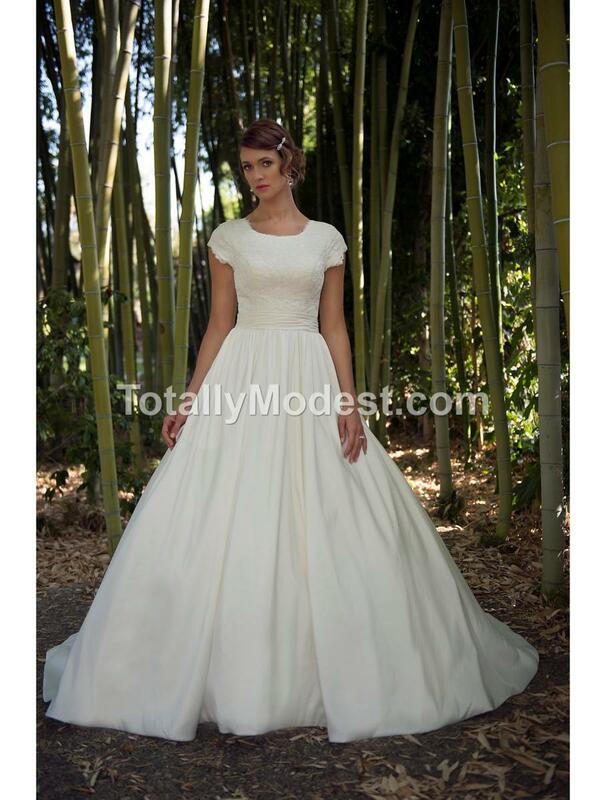 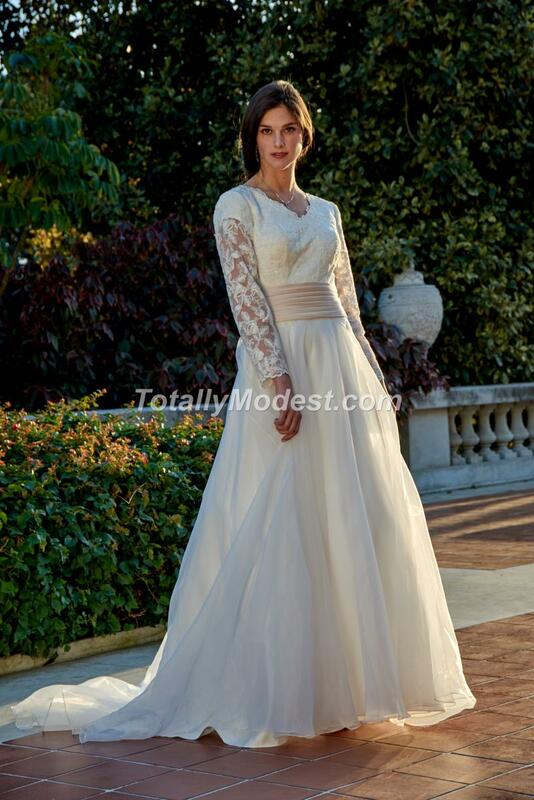 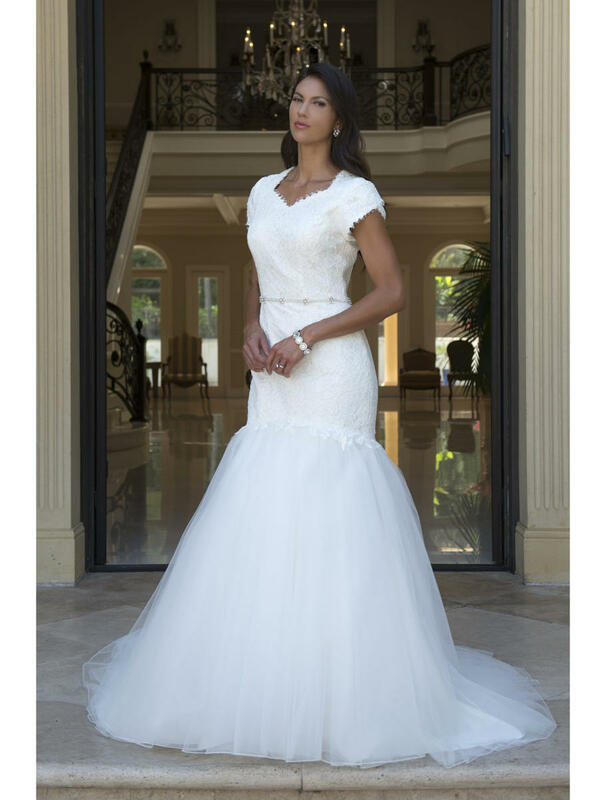 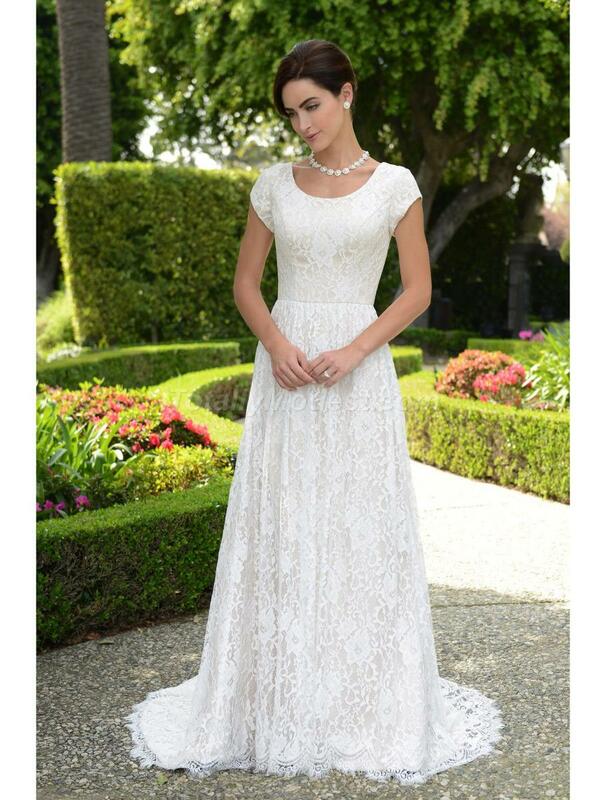 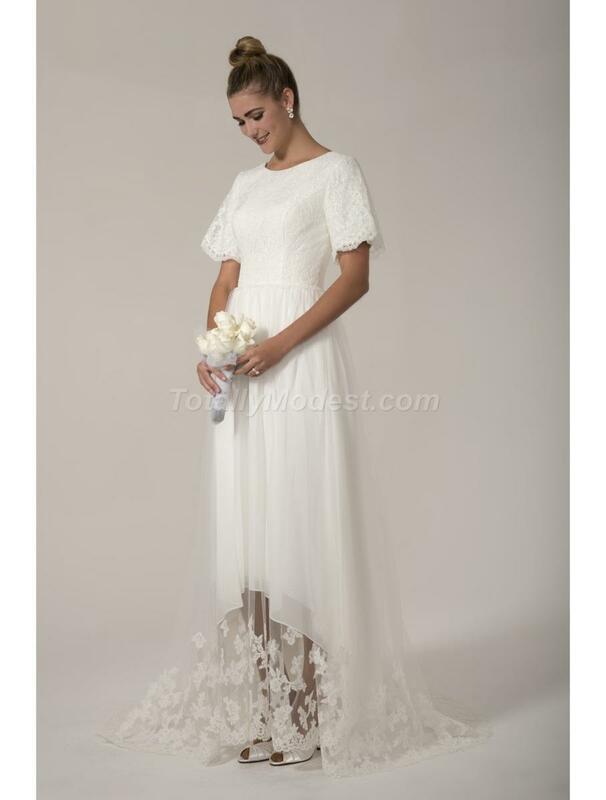 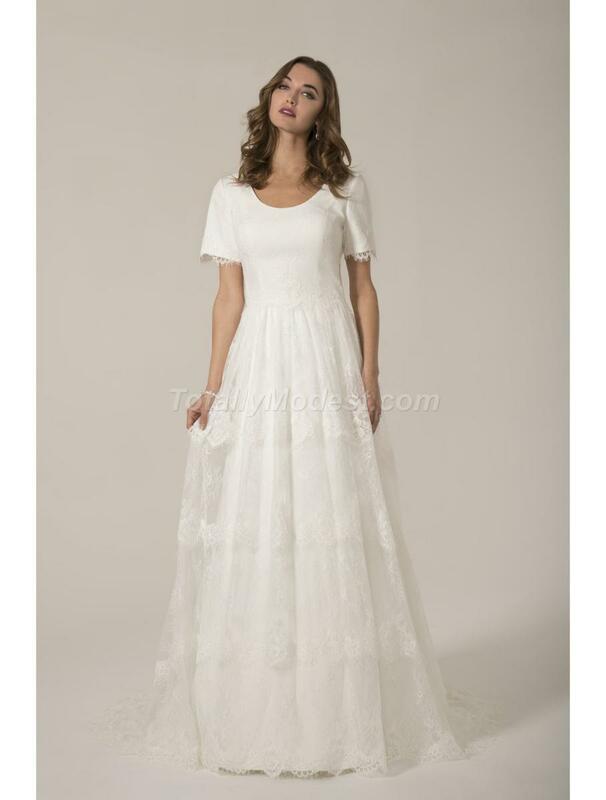 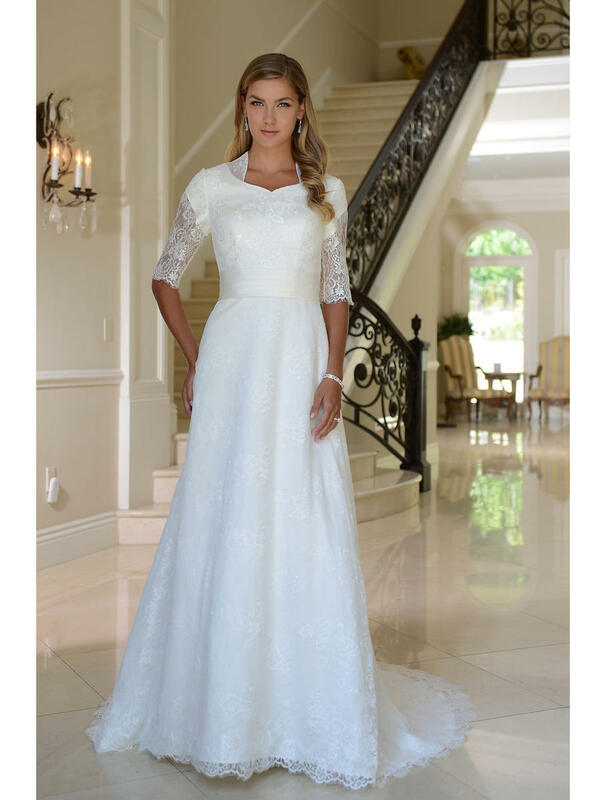 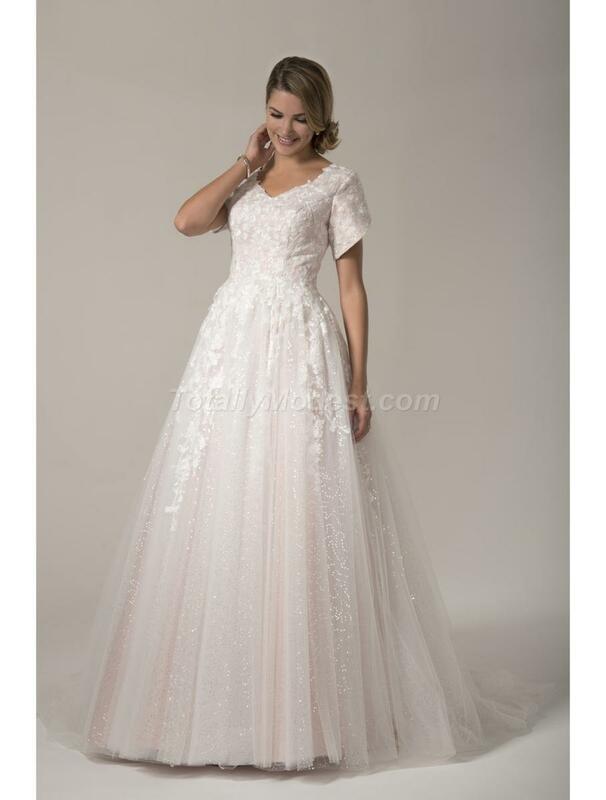 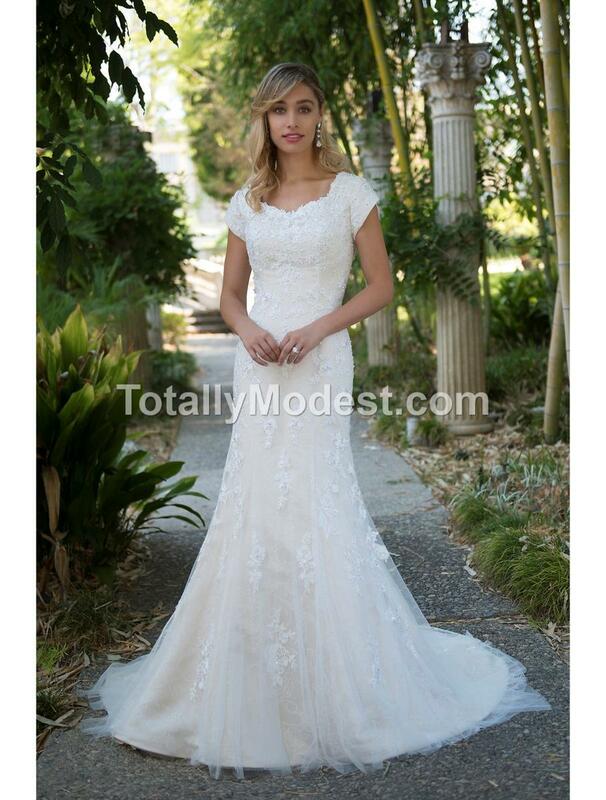 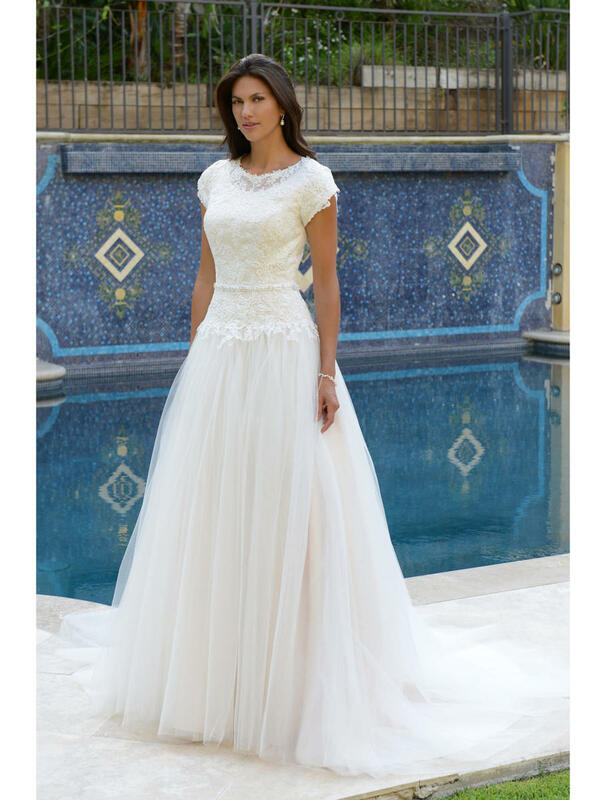 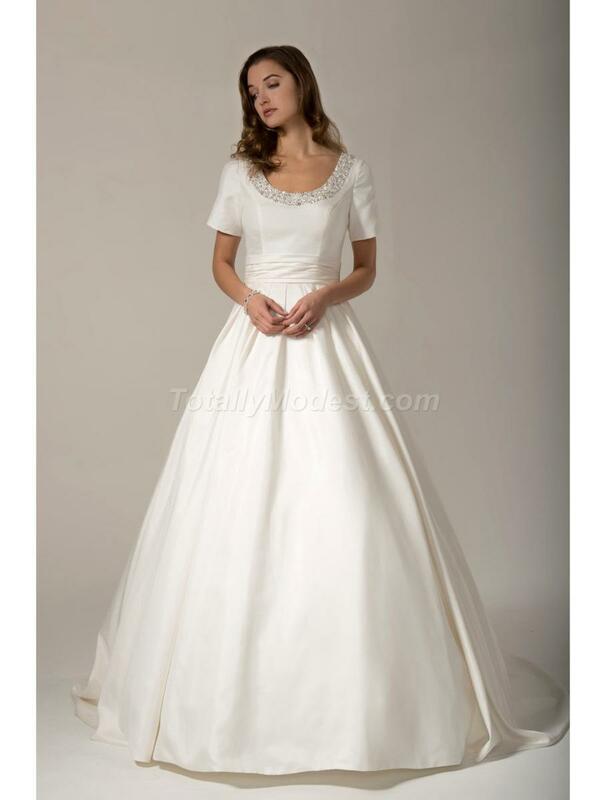 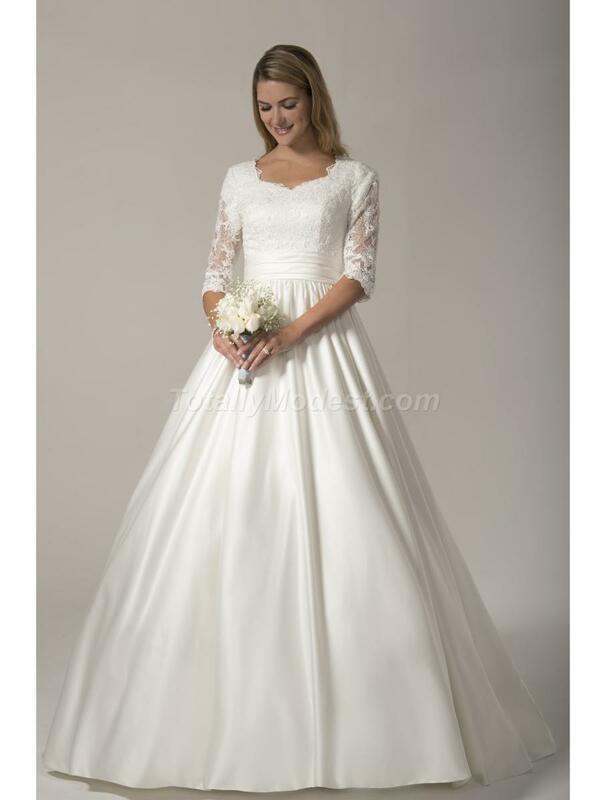 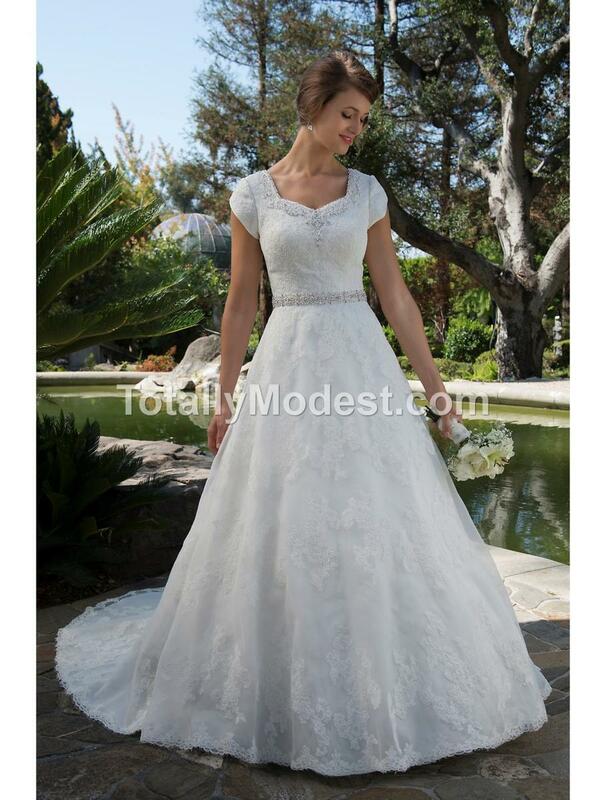 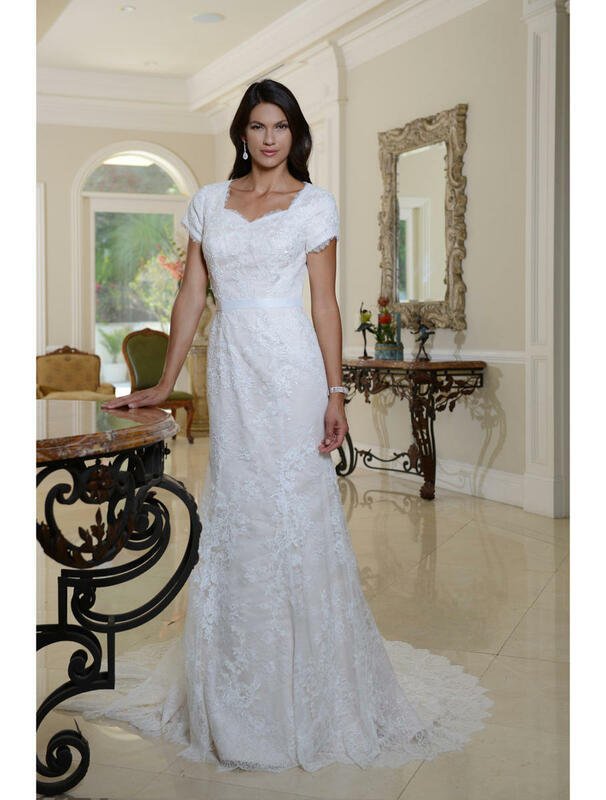 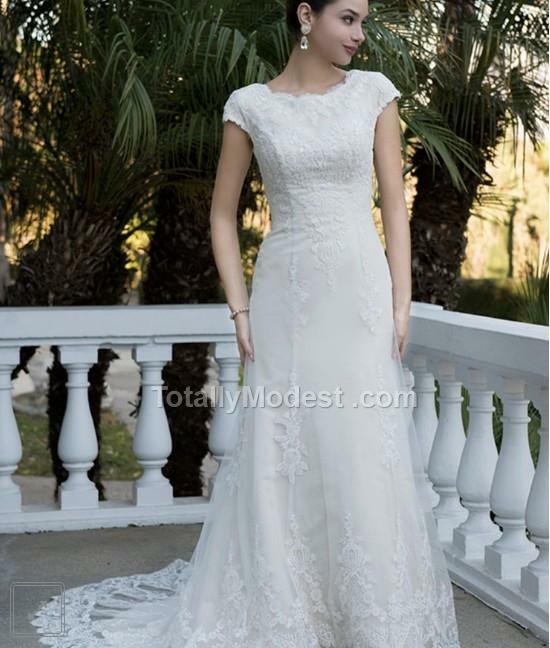 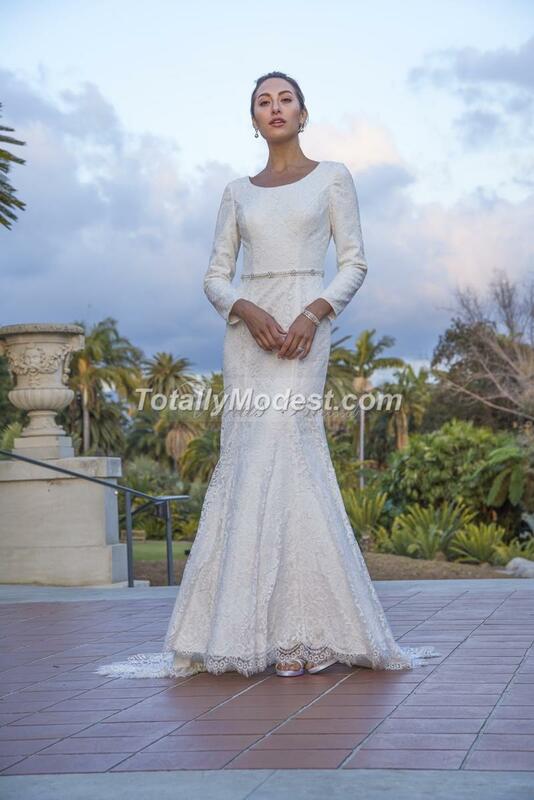 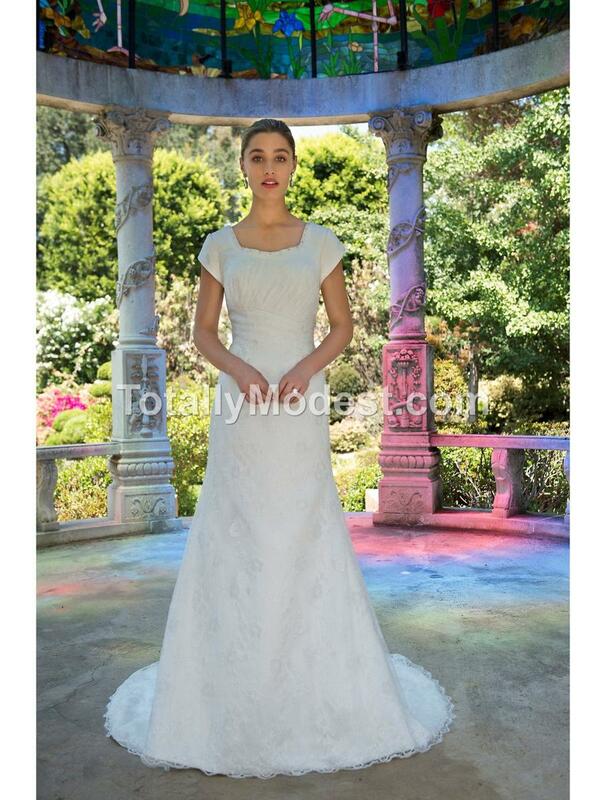 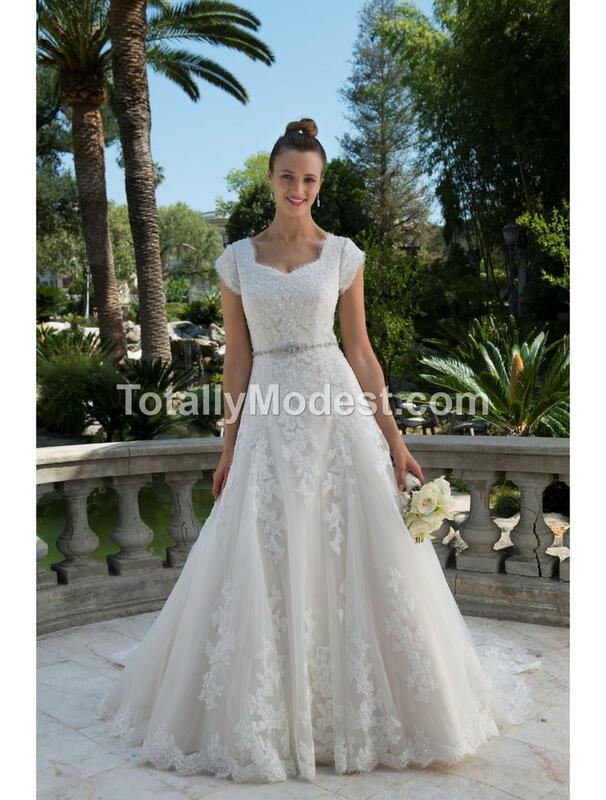 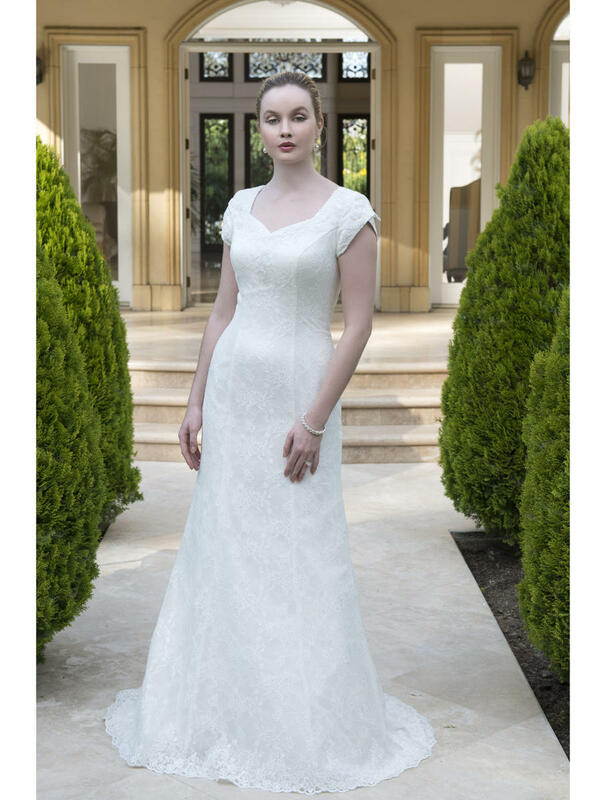 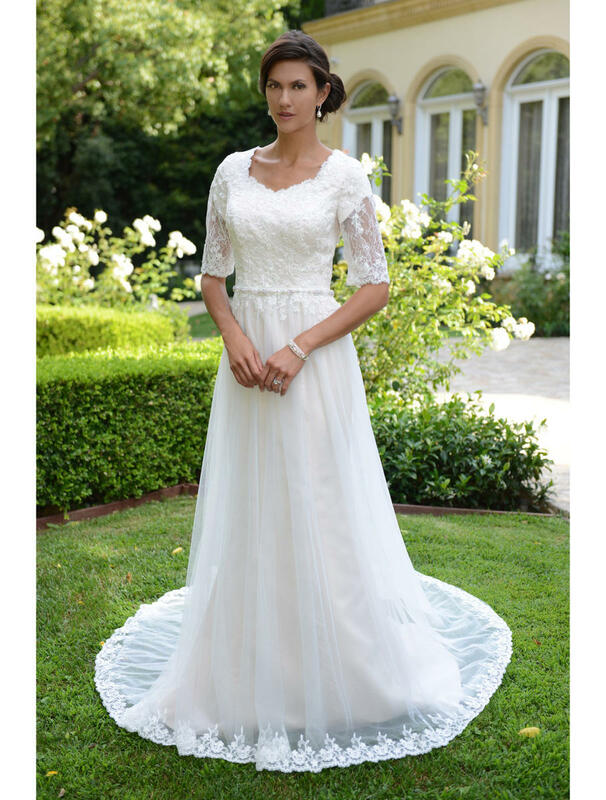 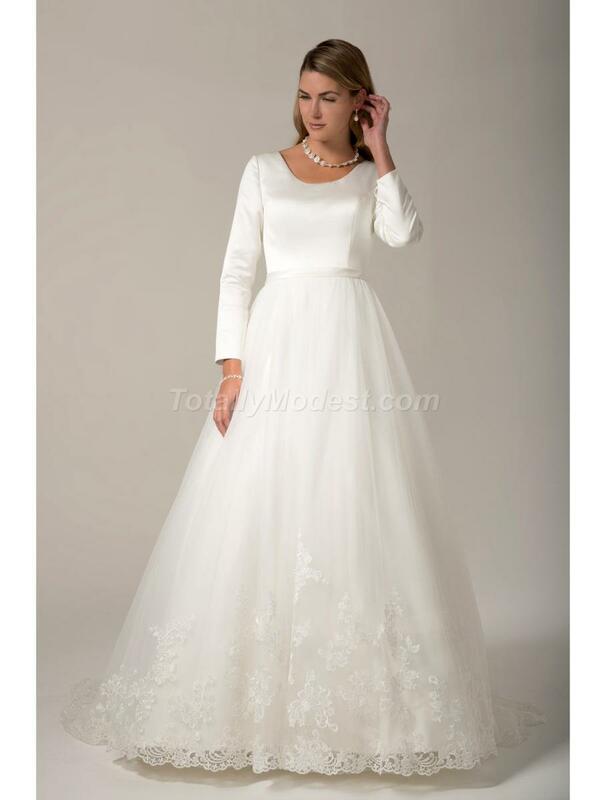 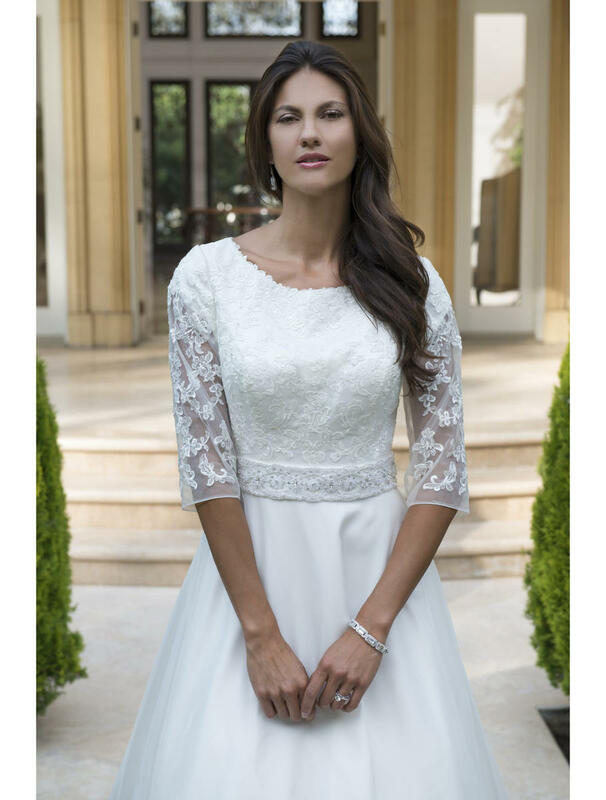 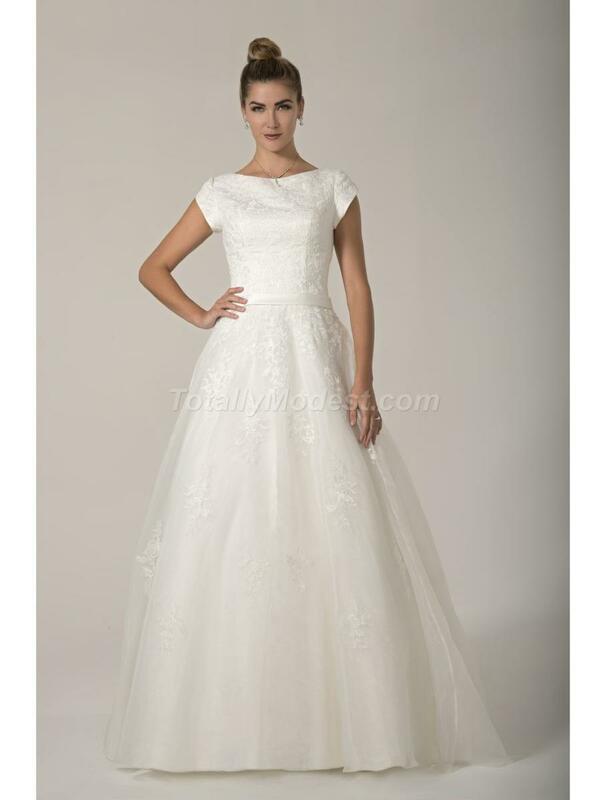 Beautiful in style Modest wedding dresses with sleeves !! 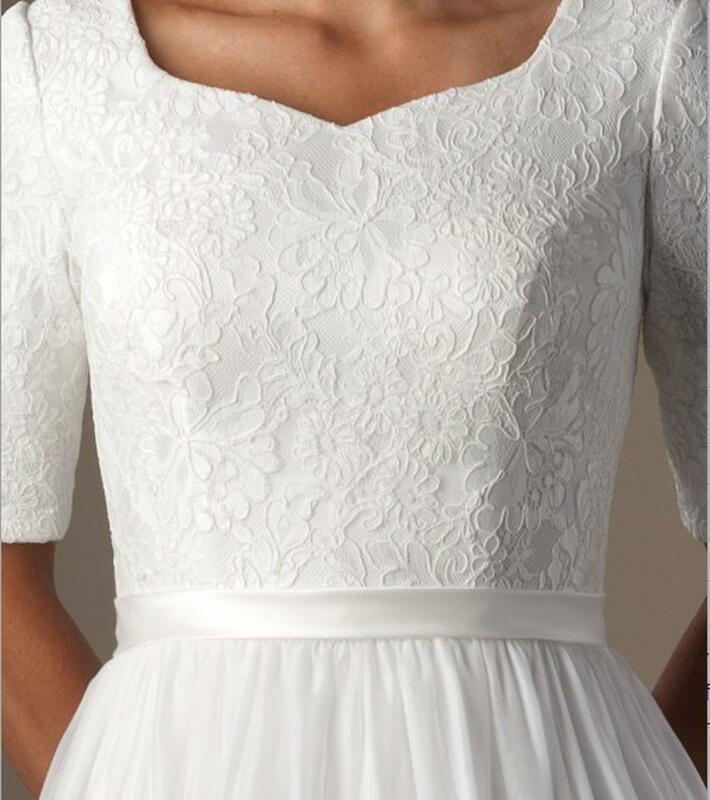 10 to 11 week rush $65. 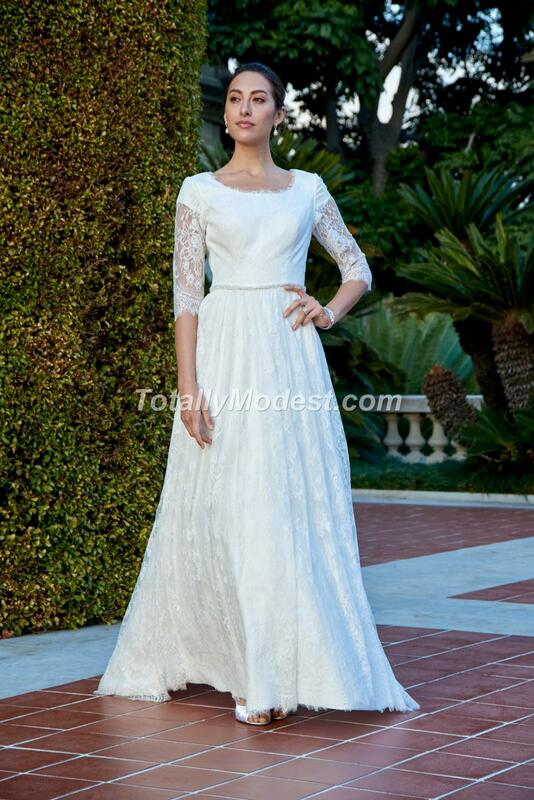 Most all dresses this collection have "CUSTOM OPTIONS" available, sleeve length, raised neck and extra length . 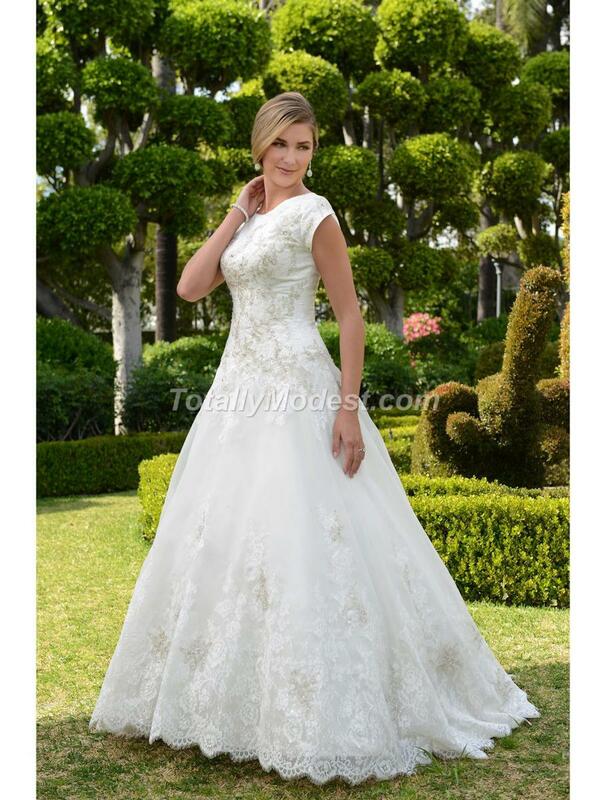 Add 2 weeks to delivery time. 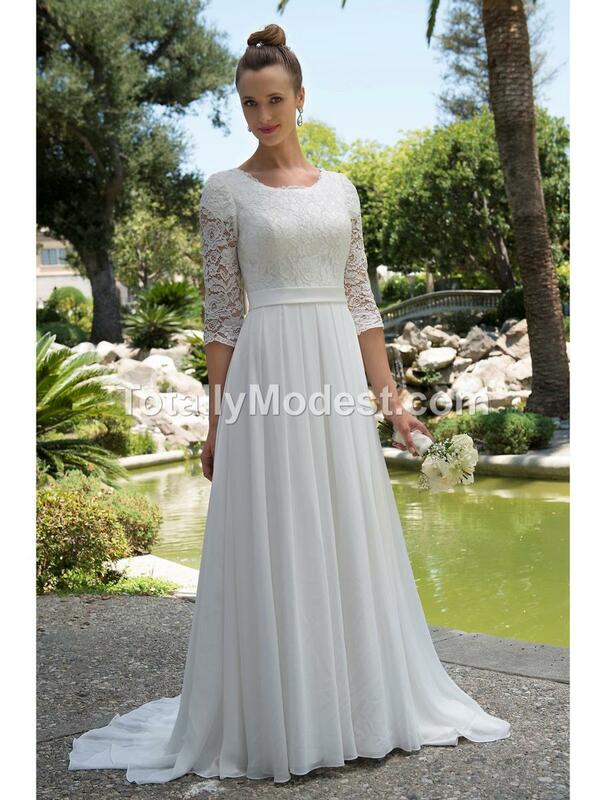 Contact us for quote at ordering time.